Here you will find inspiring, informative, and sometimes funny posts from the folks here at the WhyTry headquarters and beyond. You will also be able to view upcoming speaking events, join our newsletter, and keep up-to-date on all the latest WhyTry news. In October of 2014 Malala Yousafzai became, at the age of 17, the youngest winner of the Nobel Peace Prize. “Malala” has quickly become one of the most recognized names and faces in the world. She is the center of a worldwide movement for child education and an inspiration to many. But what has made Malala into the icon she is? Malala Yousafzai began campaigning for girls’ education at the age of 11 when she wrote as an anonymous blogger for the BBC, but this was the first step in Malala’s journey of change. In the years that followed Malala continued to give voice to her dreams, becoming a beacon of hope and inspiration. Malala was much more than your average young teenager writing a blog; living in an area that was undergoing a strict Taliban movement and threat, Malala became a crusader for education rights and a symbol of defiance against the Tabiliban. Despite continuous threats from Taliban leaders Malala refused to be silenced. She courageously continued her outreach and her message was picking up speed. She became the recipient of many awards and international organizations had begun to recognize her efforts. However, the more well known Malala and her message became the more threatened the Taliban felt, and it was only a matter of time before they reacted. On October 9, 2012, Malala and her classmates were riding the bus home from school when a gunman got onboard and commanded to know which girl was Malala. The man fired his gun, hitting Malala on the left side of her head, and injuring two other girls. Malala was flown to a military hospital where she underwent extensive surgery at the hands of skilled surgeons hoping to save her life. The shooting left Malala in critical condition and she was eventually flown to Birmingham, England to receive further care. Street Resilience is channeling your emotions—guiding them, directing them, and using them for a productive purpose, instead of letting your emotions use you, and that is exactly what Malala Yousafzai did. Malala has spoken in front of countless world leaders. She has been the subject of news reports and is currently the face of the campaign for children’s educucation. However, despite Miss Yousafzai’s renowned success and popularity she still fights the same personal battles that each of us fights every day. Malala said, “It’s odd to be so well known but to be lonely at the same time.” While her political and social aspirations and achievements are both inspiring and empowering, I find her ability to be complete transparent and willing to face her loneliness the true mark of greatness and resilience. 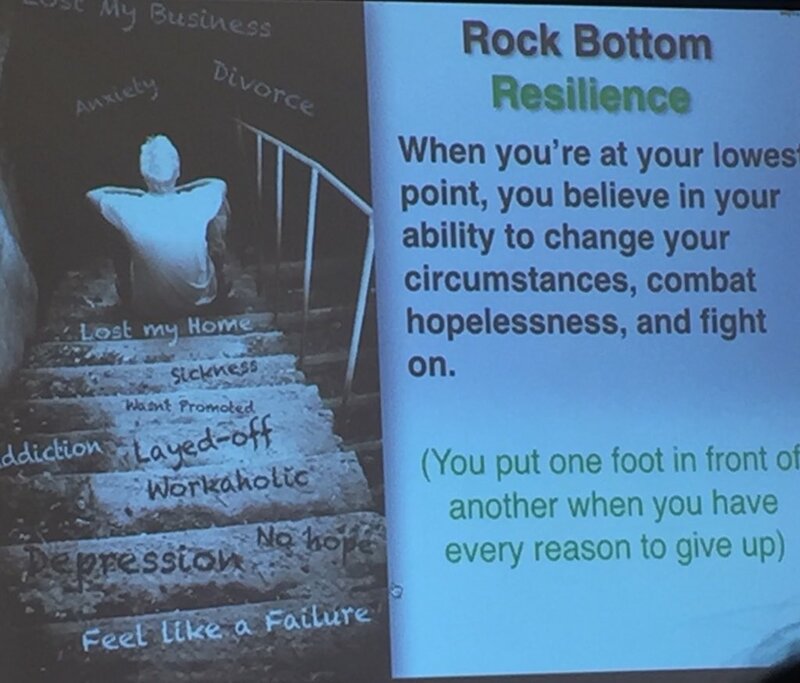 Street Resilience allows YOU to be in control of your life. It gives you power over your emotions and helps you channel pain and sadness in a positive direction. We all have the power to be street resilient, we just need to practice and work at it every single day. For more information on building street resilience check out my new book, The Resilience Breakthrough.